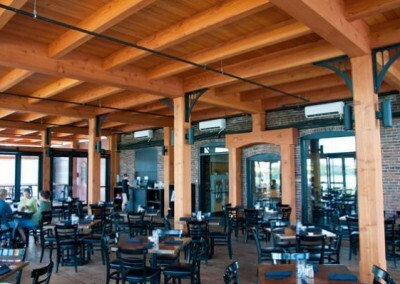 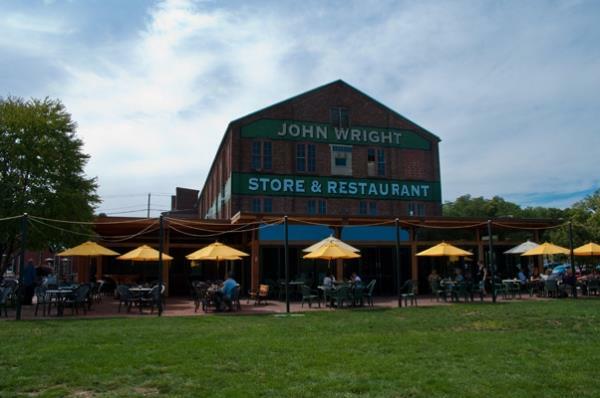 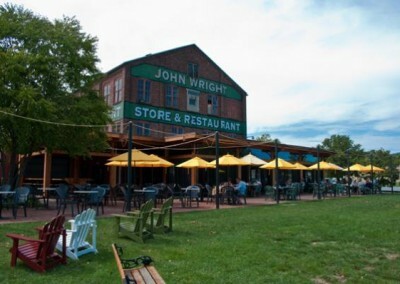 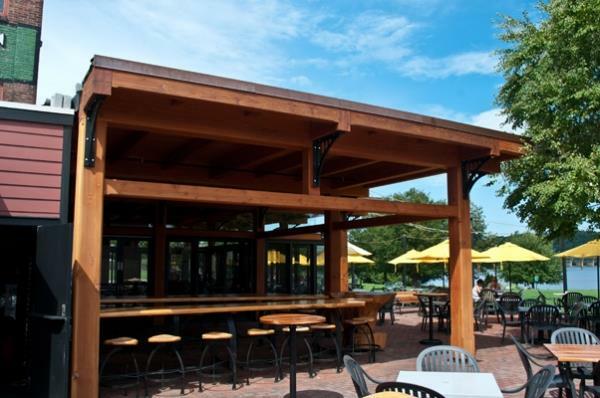 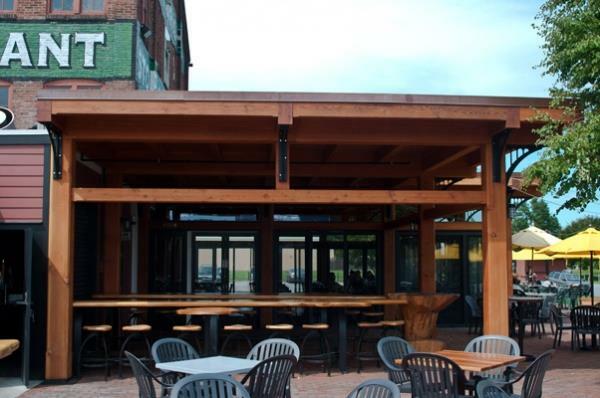 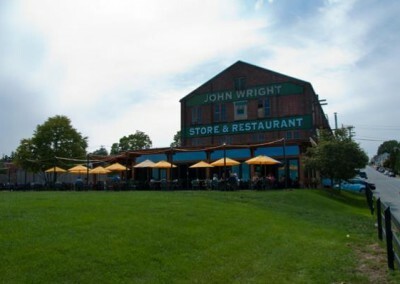 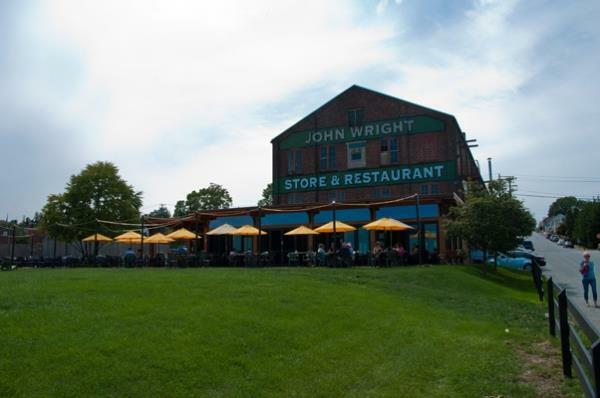 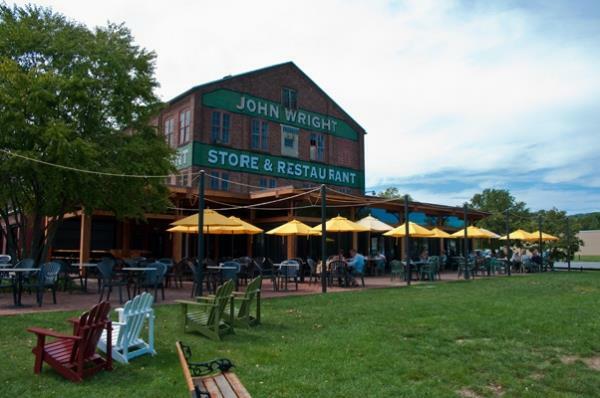 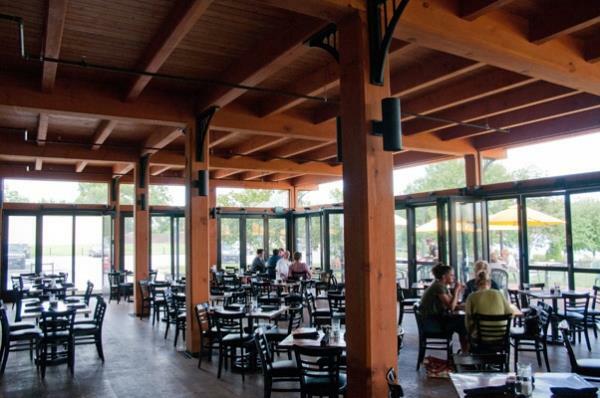 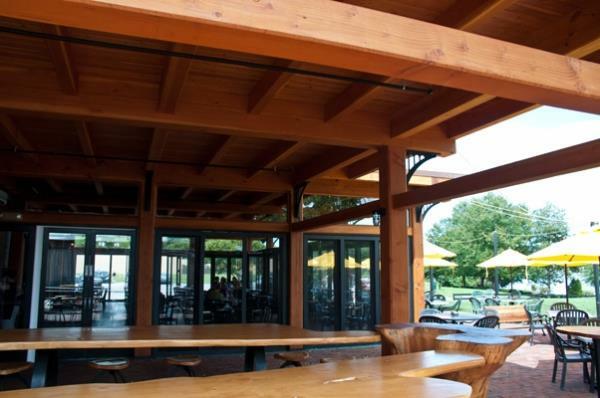 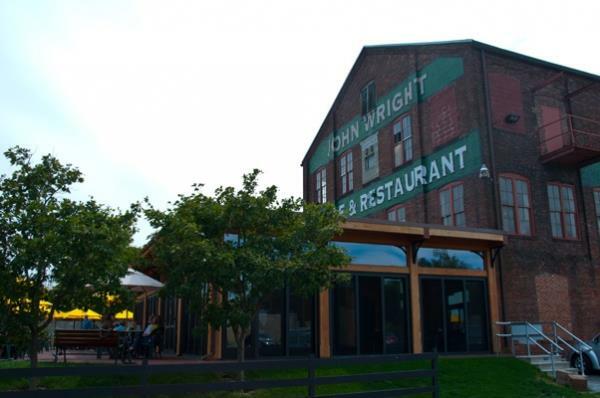 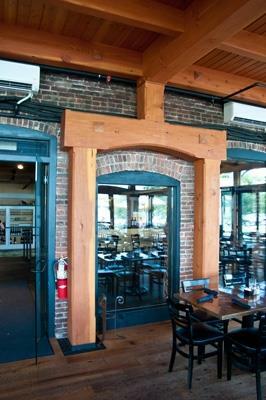 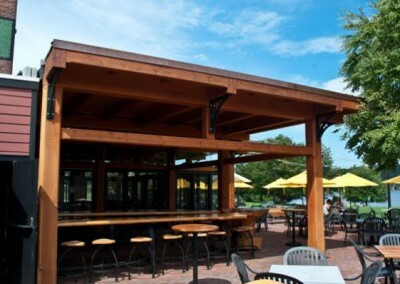 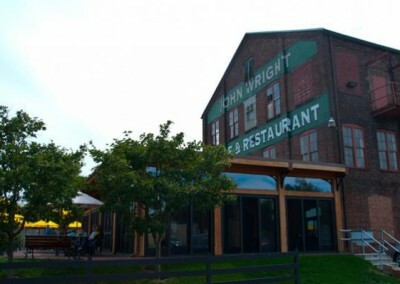 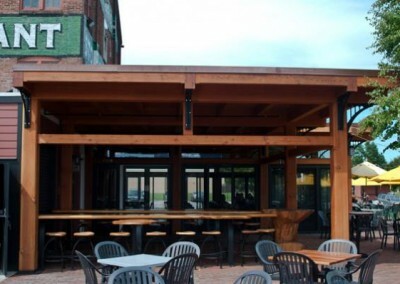 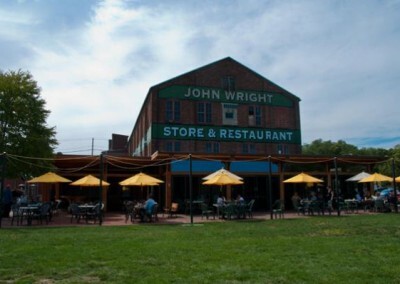 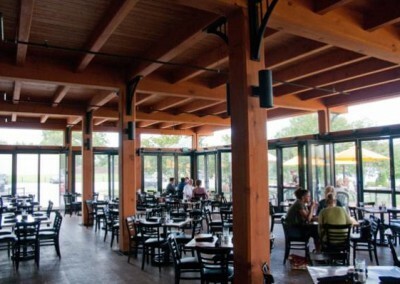 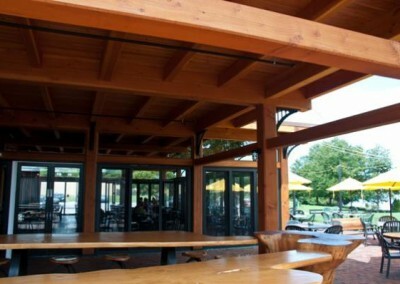 John Wright Restaurant | Lancaster County Timber Frames, Inc.
With a splendid and peaceful view of the Susquehanna River, this heavy timber restaurant draws a crowd every day of the week. The timber frame is spare by design, taking a page from Japanese notions of simplicity. 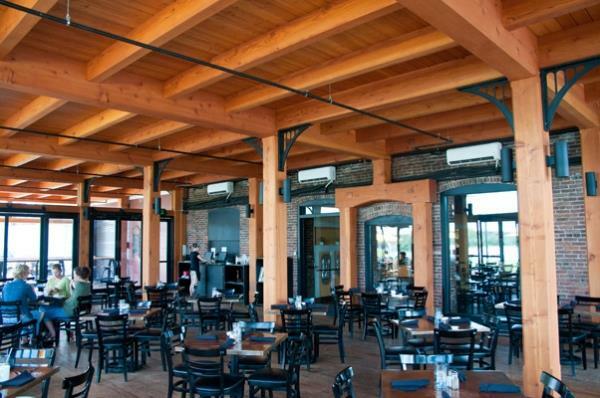 The restaurant is owned by the Donsco corporation, a respected international supplier of machine castings, under more than 110 years of continuous family ownership and management. 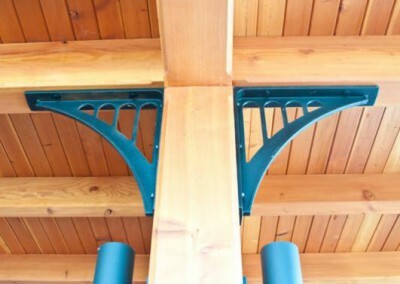 Some cast structural and decorative elements are incorporated into the design, such as the knee braces whose design mimics the arches of the Wrightsville bridge visible from the dining room and patio.